Tracy Agostino, APNC, is a board certified Pediatric Nurse Practitioner. After earning her Bachelor's in Biology from SUNY Albany in 2009, Tracy went on to work as a Pediatric care Associate at Staten Island University Hospital, where she discovered her love for nursing and patient care. 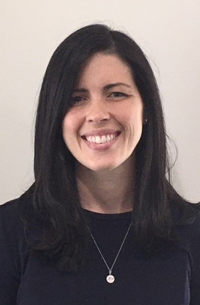 She earned both her Bachelor's and Master's Degrees in Nursing from Columbia University in 2013 and worked at a private practice prior to joining Somerset Pediatric Group. She is an Internationally Board Certified Lacation Consultant and has special interests in parent education, breastfeeding support and newborn care.